Remember Ravi Ashwin mankading Jos Buttler? Yes, the Indian Premier League (IPL) got going with this controversy itself when the Kings XI Punjab (KXIP) faced off Rajasthan Royals (RR) in the fourth match of the season. The return fixture between the two teams will be played in Mohali and the Royals would want to spoil Punjab’s party this time around. The controversy will still be fresh in Jos Buttler’s mind at least and he would be eager to make amends for the same. His wicket was the turning point in the game and all went downhill for the Pink Army since then. 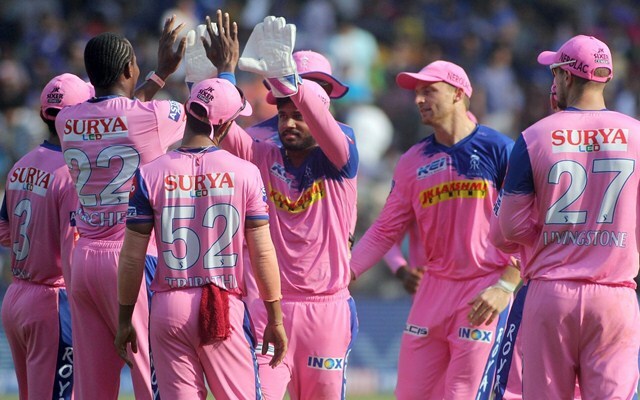 Nevertheless, they defeated the Mumbai Indians (MI) in the previous game at the Wankhede stadium and will be looking to be consistent going forward in the season. Even a loss will put their season in doldrums but the momentum, at the moment, is with the Royals. KXIP, on the other hand, were extremely sloppy in their game against the Royal Challengers Bangalore (RCB). They dropped catches and easily conceded 15 extra runs in the field which cost them the match. Ravi Ashwin will be hoping for a better effort from his troops and the team management will also be aware of their tendency of going down in the second half of the season. They were knocked out of the tournament last year due to the same reason despite starting extremely well. The condition of the surfaces across the country are changing as the tournament is progressing. Mohali pitch has turned slow and it becomes extremely difficult once the ball gets old. As far as the weather is concerned, the sun will shine for the whole day in Mohali but as usual, it will cool down considerably in the evening. Nicholas Pooran strangely was held back in the last game and he might keep his place in the team. KXIP should send him up the order as the left-hander is an exciting batsman and can tonk the ball a fair way from the word go. Also, Mujeeb Ur Rahman is likely to play with Andrew Tye leaking runs with the ball. Unless injury concerns, there shouldn’t be more changes in the team. Probable XI: Chris Gayle, KL Rahul, Mayank Agarwal, Sarfaraz Khan, Nicholas Pooran (wk), Mandeep Singh, Sam Curran, Ravi Ashwin (c), Mujeeb Ur Rahman, Murugan Ashwin, Mohammed Shami. The Royals have no reason to change their winning combination but they missed Ben Stokes’ calm head in the middle-order. If he is fit, then the England all-rounder should replace Liam Livingstone who had a forgettable IPL debut. The rest of the team is doing well and will hope to replicate the same in this match. Probable XI: Ajinkya Rahane (c), Jos Buttler, Sanju Samson (wk), Steve Smith, Rahul Tripathi, Ben Stokes, Shreyas Gopal, Krishnappa Gowtham, Jofra Archer, Dhawal Kulkarni, Jaydev Unadkat. The prediction is for the chasing team to win the game which has been the trend this season.